Sharks are the Guardians of the Ocean. They take care of a system that is so vital to our quality of life and, ultimately, to our survival. Humanity has not been good to sharks. But we can change that now. We can stop the destruction, reverse the damage, take a stand for what is right, and fight against what hurts us all. We must focus on action, and change the way we treat sharks and the ocean. Together we RESPECT, PROTECT and TAKE ACTION. Shark finning and the global trade of fins is the driving force behind the slaughter of 70-100 million sharks per year. Florida has recently become the hub for the trade of shark fins in the US. A bi-partisan effort is underway to stop that once and for all. How can sharks benefit from their “star power”? Blockbuster horror films about menacing sharks are here to stay. They have and will continue to generate billions for the entertainment industry. For years, the conservation community has tried to take the high road and distance themselves from films that perpetuate the monster image. It hasn't worked. We need a new approach. The value of the global trade in shark products is estimated at 1 billion US dollars per year. Most of these products are legal to buy, sell and trade, with the exception of shark fins in only a handful of US States and Pacific Island Nations. Follow our guide on how to approach manufacturers that use sharks in their products and how to educate those around you. A game changer that will broaden the way we support grassroots efforts that protect sharks and our ocean resources. Bringing in the collective power of the people to support conservation projects around the world. Swim With The Biggest Great White Sharks In The World, and Shark Allies! A scholarship for students that love Elasmobranchs in Guam, CNMI, FSM or Palau. Awardees can receive amounts from $1,000 to $4,000 per year depending upon year in school and dedication to their education. 2018 fanuchånan (fall) semester Awardees announced! A film about the trials and tribulations of Jimmy Hall and Stefanie Brendl and their work for sharks in Hawaii. For years they fought misconceptions to bring awareness to the plight of sharks. Stefanie then found herself at the forefront of ground-breaking campaign to stop the international trade of shark fins. An effort that turned her life upside down and ignited the work for Shark Allies. 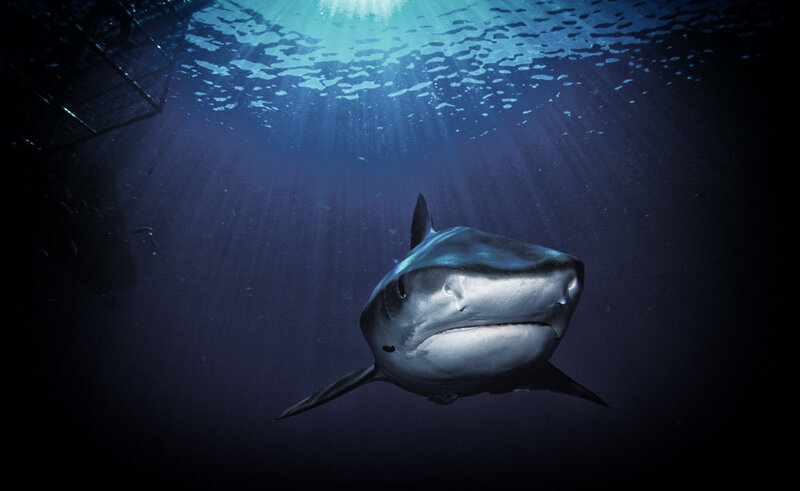 Adventure Journal Story, Florida Considers Banning Shark Fin Trade - Will Congress? Congratulations "More Like Jimmy" Scholarship 2018 fanuchånan (fall) semester Awardees!